No summer boredom allowed! Check out our inspired classes for creative minds! 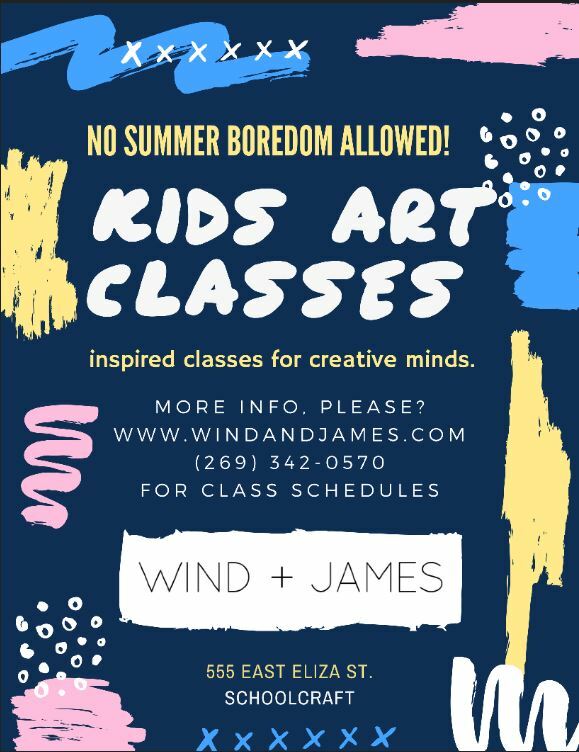 WIND + JAMES is offering an array of kids art classes this summer. Come and meet Molly Sell our summer Art Instructor. Molly is pursuing a degree in Art Education from Western Michigan University and is AWESOME with kids!!! Sign up today!